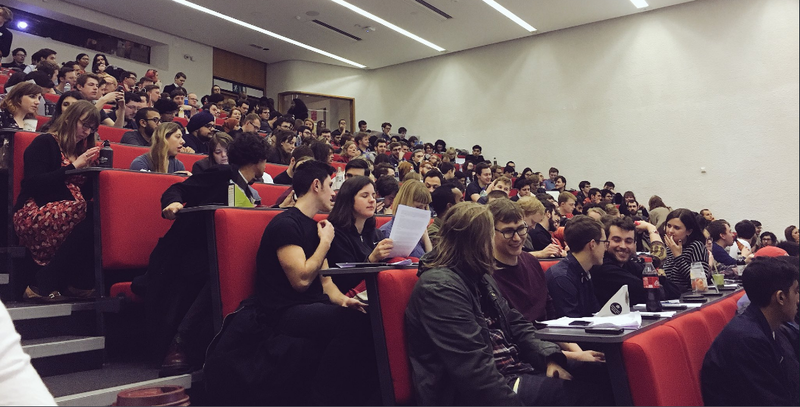 London Young Labour, the representative body for all Labour members under the age of 27 in London, has voted to endorse free movement, explicitly agreeing to work with the Labour Campaign for Free Movement. The motion was passed on Saturday 3rd February at the hundreds-strong AGM, and went through almost unanimously. 1. We have recently seen a rise in racist, xenophobic and anti-Semitic hate crime. 1. That socialism must be internationalist, and that migrant rights are human rights. faith and be safe from hate. and gender identity, faith, class, sexuality, disability and nationality. push for a continuation of freedom of movement. platform and a voice to Muslim and Jewish women. 6. Lobby for the UK to remain part of the Erasmus program. 7. Work with students and teachers unions to campaign against Prevent. both within and outside of our movement. 9. Run training with Hope Not Hate on how to tackle bigotry and xenophobia in society.